Khalid Ibn Sa’id RA was born into a highly wealthy and power-oriented family. His family lived in luxury and abundance, and his father was proud of his influential high status among the Quraish. Khalid Ibn Said RA descended from Ibn Umayyah, Ibn ‘Abd Shams, and Ibn ‘Abd Manaf. List of Sahabih writing of how the first Quran was written. When the first rays of Islam crept in, slowly but surely, over Makkah to announce in whispers that revelation had descended upon Muhammad the Trustworthy in the Cave of Hira’ with a message from Allah SWT to proclaim to His slaves, Khalid Ibn Said RA heart was revived and he gave an ear to the whispering which was like a wonderful light, and he was also heedful to it. Khalid Ibn Said RA was thrilled with joy as if he had been waiting for this news all his life. He kept on following these rays of light wherever they went. Whenever Khalid Ibn Said RA heard his people talking about the new religion, he would join them and listen carefully with repressed joy. Every now and then, Khalid Ibn Said RA would participate in the conversation with a word or two that gave impetus to the new religion to achieve publicity, effect, and guidance. If you had seen Khalid Ibn Said RA in those days, you would have the impression that he was a quiet young man who kept discrete silence. Yet beyond this calm appearance lurked a commotion of human feeling that was full of movement and joy. You could almost hear sounds of drums, trumpets, prayers, and glorifications. You could almost see the hoisted flags. Khalid Ibn Said RA inner-self was feasting in the full meaning of the world. You could feel the joy, thrill, and even the clamor and clatter of the feast day. This young man kept this big feast to himself and cite from all people. Khalid Ibn Said RA knew that if his father found out that he harbored all this love, enthusiasm, and support for Rasulullah SAW’s invitation to Allah’s way. Khalid Ibn Said RA would offer him as a sacrifice to the gods of Abd Manaf. But when our inner selves are full and saturated with a certain feeling, it is not long before we lose control over it and it overflows freely and excessively. One day. . . No, it was not yet daybreak, and Khalid Ibn Said RA was in a state of alert sleepiness when he saw a vision that was highly impressionistic, effective, and telling. To be more precise, one night, Khalid Ibn Said RA saw in his sleep a vision of himself standing on the brink of a great fire. His father stood right behind him. Strangely enough, his father was incessantly pushing him towards the brink. Khalid Ibn Said RA wanted to throw him right into the burning fire. Then Khalid Ibn Said RA saw Allah’s Prophet rush to him and pull him with his blessed right hand away from the burning fire. Rasulullah SAW expressed his heartiest welcome as he shook Khalid Ibn Said RA’s hand. Khalid Ibn Said RA instantly said, “I bear witness that there is no god but Allah and I bear witness that Muhammad is His Messenger.” Simultaneously, the repressed joyful songs within him were set free. In fact, his celebration burst forth, and his father found out about his Islam. Now, on the day of Khalid Ibn Said RA’s Islam, only four or five people had already preceded him in embracing Islam. Said (Khalid’s Father) thought that his son’s early Islam would expose him to the humiliation and ridicule of the Quraish people. The Islam of one of Said’s sons, had sufficed to shake the ground under Said’s feet and throw doubts upon the credibility of his leadership. Said realized that this torture was not enough; therefore, he dragged him to the sun-baked ground and dug a ditch for him between its heavy burning rocks and kept him there for three days without shade or cover. Khalid Ibn Said RA had absolutely nothing to drink during those three days. His father gave up all hope that his son would turn back from his faith, so he dragged him back home and kept on luring him to apostatize from the new religion, then threatened him. Thus, Khalid Ibn Said RA left the luxurious house that was full of food, clothes, and comfort. Khalid Ibn Said RA left it to experience need and deprivation. But why should he worry when he had his faith by his side? Was he not in full control over his conscience and destiny? Then why should he be bothered by hunger, deprivation, or even torture? If a man found all he was looking for in the great truth that Muhammad SAW was inviting people to believe in, there should be nothing in the whole world that could prove to be more important to him than his inner self, which he would then sell to Allah SWT in a bargain in which Allah SWT was both the owner and purchaser! Thus, Khalid Ibn Said RA subdued torture with sacrifice and overcame deprivation with faith. When Rasulullah SAW ordered his believing Companions to embark on the second emigration to Abyssinia, Khalid Ibn Said RA was one of the muhajirun. Khalid Ibn Said RA settled there for the time destined by Allah. Then he returned to his house with his brethren in A.H. 7. When they arrived, the Muslims had just finished the conquest of Khaibar. Khalid Ibn Said RA settled in Al-Madinah amidst the new Muslim society whose nucleus he was a part of, being one of the five first Muslims who had witnessed its birth and established its foundations. Khalid Ibn Said RA did not miss a war or a battle. He was always the first to go forth during war time. As one of the foremost Muslims, and highly conscientious and disciplined, Khalid Ibn Said RA was always loved and honored. After the death of Ikramah, Umm Hakim stayed in Syria. Khalid Ibn Said RA sent her the proposal of marriage. She accepted the proposal, but said that the marriage should be held after the war against the Byzantines was over. Khalid Ibn Said RA said that he had a feeling that he was not going to survive the battle, and as such be wanted the marriage to be held immediately. Thereupon Umm Hakim gave her consent and the marriage was celebrated. The marriage was consummated in the military camp at Marj-al-Saffar outside Damascus. The next day Khalid Ibn Said RA went to fight and he was martyred. The tent of Umm Hakim was surrounded by the enemy. Though dressed in bridal clothes, Umm Hakim showed great presence of mind. She plucked the poles from the camp, and struck to death all the Byzantine soldiers who attempted to seek admittance to the camp. 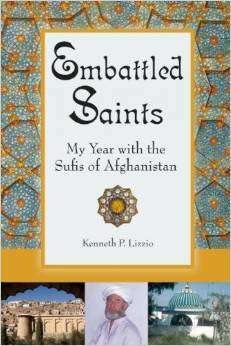 In the resultant confusion she escaped and sought safety in the midst of the Muslim forces. Then she returned to Madinah. She was a cousin of Saidina Umar Al Khattab RA and Umar condoled with her over the deaths of Ikramah RA and Khalid Ibn Said RA. Umar was much impressed with her heroism in killing nine Byzantine soldiers with the poles of the tent at the time when she was dressed as a bride. Saidina Umar Al Khattab RA saw that she was feeling disconsolate. Saidina Umar Al Khattab RA proposed marriage and after some consideration Umm Hakim accepted the proposal. Saidina Umar Al Khattab RA and Umm Hakim were married in the third year of the caliphate of Umar. Of Umm Hakim, SaidinaUmar Al Khattab RA had a daughter who was named Fatima. Khalid bin Said RA the “wakil” for Umm Habibah marriage to Rasulullah SAW. Ummi Habibah RA says: “I saw a dream in which someone was repeatedly saying; ‘Ya Ummul Mukminin’. When I saw this dream, I became scared. Later the interpretation of this dream became a reality, when the Abyssinian king, Najashi, sent his special (female) attendant to me with the news that Rasulullah SAW had sent a proposal for marriage, and that he should perform the Nikah. When I heard this I made a dua for the servant; ‘May Allah Ta’ala also give you glad tidings!’ She then told me to get a Wakil (representative). I appointed Khalid bin Said bin Aas RA as my Wakil, since he was a relative of mine, who had also come to Abyssinia. Out of happiness, I gave this slave of the king my two bangles and rings, etc. which I had on me at that time, they were made of silver. When evening came then Najashi called Saidina Jaafar bin Abi Talib RA and all the others who had made Hijrah to Abyssinia, and were now resident there. Najashi then commenced with the Khutbah, after reciting the Khutbah, he said: “Muhammad SAW has requested that I marry him to Ummi Habibah, the daughter of Abu Sufyan, hence I have agreed to do so. Saying this Najashi stipulated an amount of 400 dinars (gold coins) as Mahar, and he gave this amount, in cash, in front of the group that were present. Thereafter Khalid Ibn Said RA gave a Khutbah and said: “I have accepted the proposal (on behalf of Umm Habibah RA and give Umm Habibah bint Sufyan in Nikah to Rasulullah SAW.” Thereafter, he took the dinars given in Mahar by Najashi and left. All the others also left. Najashi told them to wait as he wished to feed them after the Nikah. Food was served and they all ate. Thereafter they all left. This occurred in the year 7 A.H. According to some it was the 6th year A.H.
Umm Habibah RA says that after she received the Mahar, she gave fifty dinars to the slave girl of Najashi. She returned it saying that Najashi has forbidden her from taking these gifts of hers. She also returned the other things given to her by Ummi Habibah RA. When Abu Sufyan (yet to embrace Islam) heard this news he was shattered because at that time he was not yet a Muslim, and he still harbored antagonism for Rasulullah SAW. He considered this a victory for Rasulullah SAW that Rasulullah SAW, although being pursued and hounded by the Makkan Quraish, has made Nikah to the daughter of Abu Sufyan. He respected his conviction. Hence, he refused to hide or bargain with it. For instance, before the demise of Rasulullah SAW, he assigned Khalid Ibn Said RA to the post of Governor of Yemen. When he heard the news concerning Saidina Abu Bakr Al Sidiq RA nomination as caliph and the consensus of allegiance given to him, he left his work and set out for Al-Madinah. He knew that Saidina Abu Bakr RA was an unmatched, righteous, and pious believer. However, he thought that the caliphate was Bani Hashim’s right. He believed that Al-Abas or Ali Ibn Abi Talib RA should have been the caliph. Khalid Ibn Said RA clung to his belief and did not take the oath of allegiance to Saidina Abu Bakr RA. Notwithstanding that, Saidina Abu Bakr RA held no grudge against him. On the contrary, he kept his love and appreciation for him. Saidina Abu Bakr RA did not compel him to give the oath nor hate him for refusing. He was hardly mentioned among the Muslims without the great caliph justly praising him. In time, Khalid Ibn Said RA changed his viewpoint, and one day he broke through the lines of the Muslims in the mosque while Caliph Saidina Abu Bakr RA was standing on the pulpit and gave the oath of allegiance to him. It was a true and confident pledge to Saidina Abu Bakr RA. Saidina Abu Bakr RA hastened to Khalid Ibn Said RA house to offer him his sincere apology and to explain his new decision. Then he asked Khalid Ibn Said RA which of the commanders of the army he would like to accompany to Syria. He asked him if he would like to be with his cousin, Amr or with Shurahbil Ibn Hasanah. Khalid Ibn Said RA answered was highly revealing of his greatness and inner piety, for he answered, “My cousin is closer to me due to the relation of blood and Shurahbil is closer to me due to his excellent piety.” Then he chose to be a soldier in Shurahbil Ibn Hasanah’s regiment. Right from the Prophethood of Rasulullah SAW till today, Muslims from all over the world have used their abilities and potentials in the calligraphy of the Holy Quran. They devised versatilities in its embellishment and showed masterpieces of surprising skill. Even in this mechanical period, a historic way of calligraphy of the Holy Quran was developed. Here is a historical account of calligraphy. Khalid Ibn Said RA calligraphed Bismillah-hir-Rehman-ir-Rahim, and the last Revelation was calligraphed by Abi Bin Ka’ab on 3rd Rabi-ul-Awal 11 A.H. During the time of Rasulullah SAW, the Queramuz script was being exercised in Makkah, while in Madinah, the Hiri script was popular. So all the revelations in Makkah were being written in “Queramuz script”, while those in Madinah were being calligraphed in “Hiri script”, later known as the Kufi script. There were about 40 companions of Rasulullah SAW, including the Caliphs who were lucky enough to calligraph the revelations. In this period, the communication and orders of Rasulullah SAW were usually written in Kufic script. During the holy caliphate, calligraphy was the expression of knowledge and religion, so its betterment and progress was overlooked. However, the propagation of Islam, directions and dispatches to governors and administrators and correspondence with non-Muslim rulers stimulated the interest and necessity of Muslims and with the passage of time, it became an art and was called the art of calligraphy. During the reign of Umayyad’s, chances for the propagation and development of calligraphy became prominent. The first famous calligrapher of this period was Qutba, who changed the traditional way and created four new ways of calligraphy. The Holy Quran was calligraphed for the first time with gold water. Khalid bin Abi Tahiyaj, the courtier calligrapher of Walid bin Abdul Malik, was another popular and prominent figure of the time. He edited Khat-i-Kufi and founded artistic calligraphy. 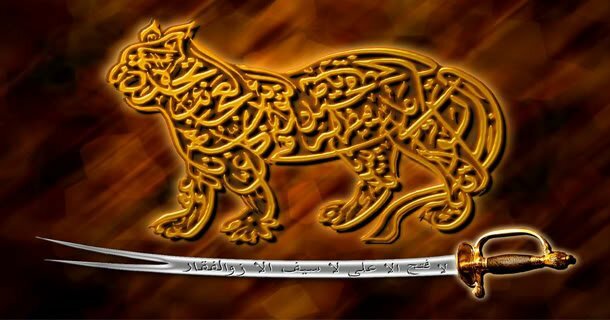 The pioneer of those martyred and rewarded in the Battle of Marj As-Sufar, where the Muslims and Romans met in terrible and deadly combat, was a glorious martyr who took a course in his life, from his early youth to the moment of his martyrdom, characterized by true belief and courageous action. Who said that she had heard Rasulullah SAW seeking refuge with Allah from the punishment in the grave? Nadr ibn Kathir as-Sadi said: Abdullah ibn Tawus prayed at my side in the mosque of al-Khayf. When he made the first prostration, he raised his head after it and raised his hands opposite to his face. This came as something strange for me. I, therefore, said it to Wuhayb ibn Khalid. Then Wuhayb ibn Khalid bin Said RA to him: You are doing a thing that I did not see anyone do. Ibn Tawus then replied: I saw my father doing it, and my father Said: I saw Ibn Abbas doing it. I do not know but he said: Rasulullah SAW used to do it. That the daughter of Abu Hubaish Said: “O Messenger of allah, I do not become pure, so should I stop praying?” He Said: “No, that is a vein.” Khalid bin Said RA, in what I read from him,* “And it is not menstruation, so when your period comes, stop praying, and when it goes, wash the blood from yourself and pray.” (Sahih) *Meaning, before Hisham, from whom he narrates it. About The Grave with snake waiting for the Jenazah of disbelievers. This hadith clearly tells the reward of martyrs before the day of judgement. (80:42)Such will be the Kafarah(disbelievers in Allah,in his oneness,and in his messenger Muhammad,the fajarah(wicked evildoers). How neglectful we are? This is how Allah SWT reminds us of the punishment of the grave. This has happened many times and you can find many other you tube videos on the net. For example of one of the governor in Istanbul .When he died, the people dug a grave for him. They saw a snake waiting. The people were frightened, they dug a second grave but they still saw the same snake on the grave, they kept digging grave. They dug about 30 graves and every time the grave was dug, they saw the same black snake waiting for him. Nobody can hide from the punishment of Allah SWT.May Allah protect us from the punishment of the grave. Should we not mend our ways!